(NASHVILLE) – Dayton City School 7th grade student, Hannah Wilson, served as a page in the Tennessee State Senate on Thursday, January 31st. Wilson is a resident of Rhea County and was sponsored by State Senator Ken Yager (R-Kingston). See accompanying photo ( from left to right): Speaker Pro Tempore Ferrell Haile (R-Gallatin), Lt. 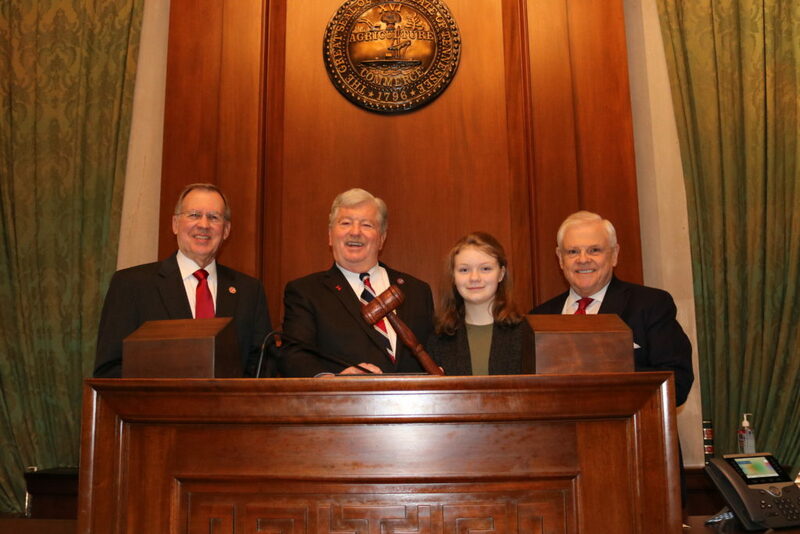 Governor Randy McNally (R-Oak Ridge), Hannah Wilson (13), and Senator Ken Yager R-Kingston) pictured behind the podium of the Speaker of the Senate.